Discussion in 'iPhone and iPad Games' started by BlackEyedGamer, Sep 22, 2016. 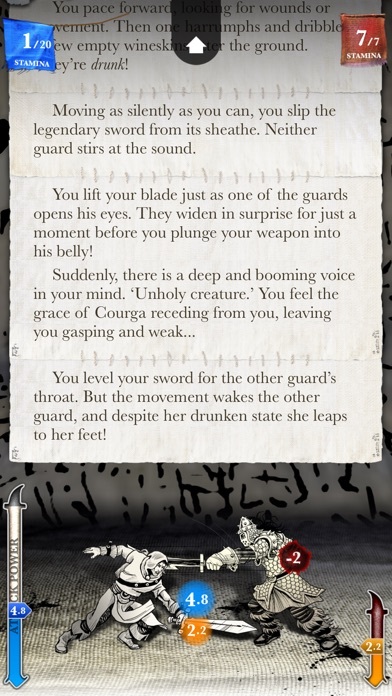 An epic adventure through a cursed citadel of monsters, traps and magic. Begin your journey here (Parts 1-3 not required) - or conclude your epic adventure. "One of the finest RPGs ever made" - Rock, Paper, Shotgun, Best RPG of 2016 "Sorcery! pushes and exploits both genre tropes and limitations, not as mere parody but in order to provide a better role-playing experience. A masterful work." - TechRaptor 9/10 Praise for Part 3: Editors Choice, Apple; iPad Best Game of the Year selection "One of 2015's best iPhone games" - TIME magazine "An amazing adventure..." - TouchArcade 5/5 An open-world narrative adventure into a cursed Citadel of monsters, traps and magic. Fight weird creatures, cast powerful spells that shape the story, cheat death, and explore everywhere. Begin your journey here, or conclude your adventure from Part 3. + Explore freely - go where you want through a hand-drawn, 3D world, creating your own unique story + Totally dynamic storytelling - the story adapts itself around everything you do + Thousands of choices - all are remembered, from the big to the small, and all will shape your adventure + Disguise yourself - adopt different disguises as you infiltrate the Citadel. 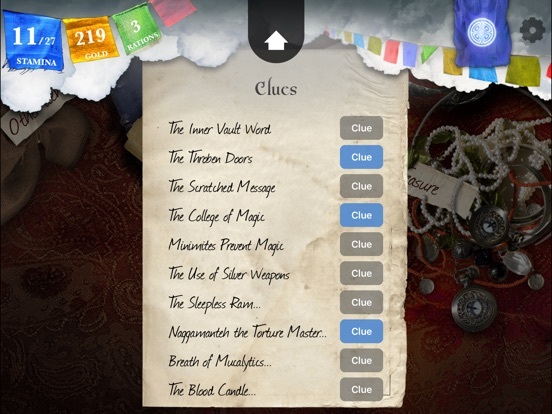 Characters react differently depending on how you are dressed + Uncover the secrets of magic - secret spells to discover, and new forms of magic to master + Multiple endings, and hundreds of secrets - the game is stuffed with secrets and hidden content. 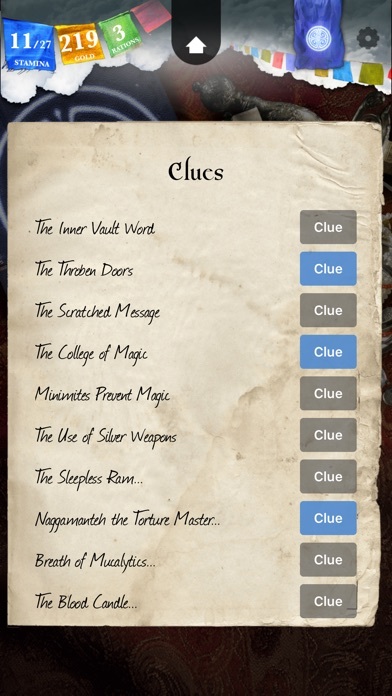 Can you enter the vaults? Will you find the grave of the invisible girl? 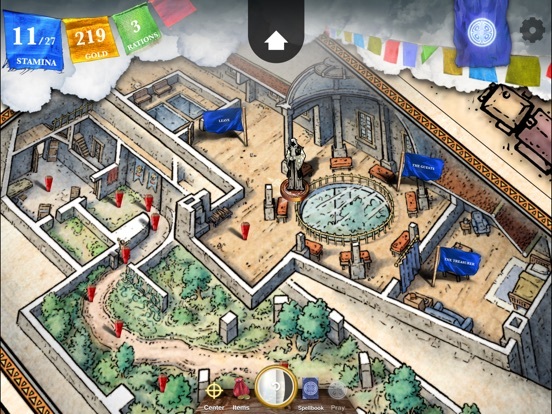 + Cheat, swindle, deceive, or play with honour - how will you win the trust of the citizens of Mampang? 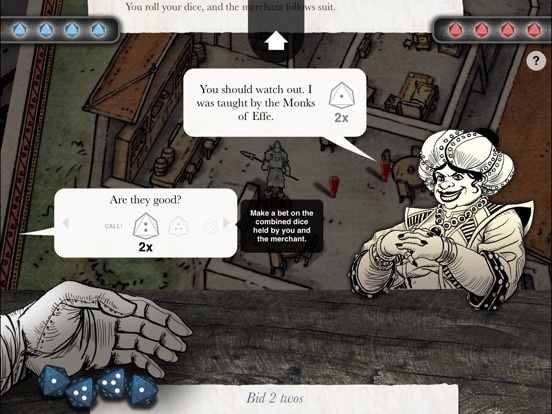 Remember, every choice matters... + New enemies, including mutants, guards, merchants and the undead - each with their own strengths and weaknesses + Adapted from the best-selling gamebook series by legendary game designer Steve Jackson + Swindlestones is back! The game of bluff and deceit is back, with the toughest opponents yet - the Gambling Monks of Effe + Seven Gods, all with different quirks and powers + Start your adventure here, or load your character and all your choices from Part 3 + New music from "80 Days" composer Laurence Chapman + New 3D hand-drawn maps to explore by Mike Schley You have reached the gates of Mampang, the ancient Fortress of Sorcerers. It is guarded by Birdmen, mutants, traps and ancient, wild magic. But inside is the Crown of Kings and the only hope for peace in the Old World. You must make your way past chasms, guards, walls and evil magic if you are to face the Archmage - and survive. 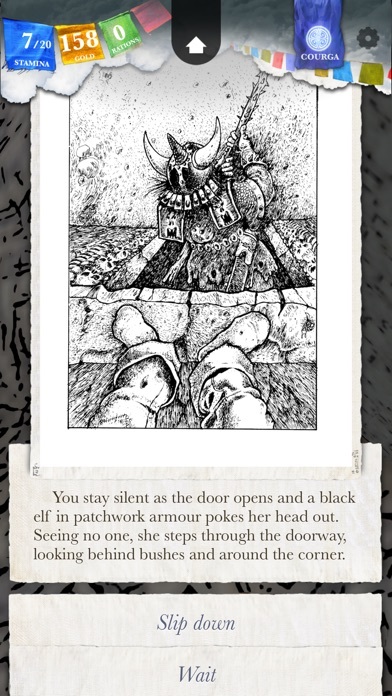 From the creators of TIME's Game of the Year 2014 and four-time BAFTA nominee, "80 Days", comes the final part of the epic, acclaimed Steve Jackson's Sorcery! series, co-creator of Games Workshop and Fighting Fantasy (with Iain Livingstone). 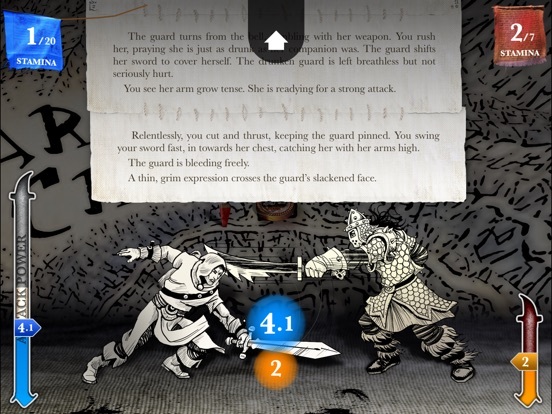 Using inkle's unique ink engine, the story is written in real-time, built around your choices and actions. Every action is remembered, and every decision, however small, can make the different between life and death, success and failure, humiliation or triumph. Sorcery! 4 is our most complex story to date, featuring over half a million words of adaptive content which incorporates all your choices from previous parts. The Sorcery! 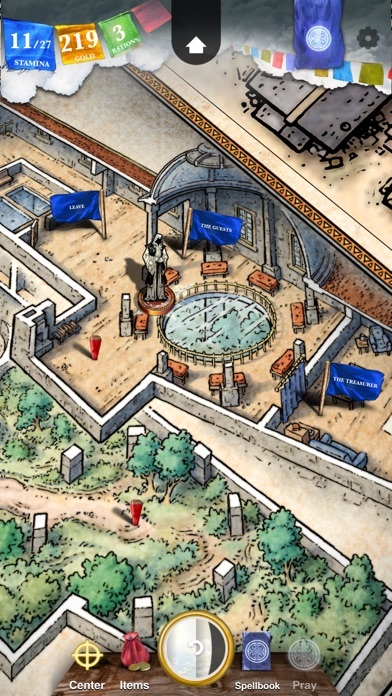 is true epic, interactive storytelling - and it concludes here. It's out people!! It is ouuuwwwtttt!!! Damn still need to finish s3. Lol me too! Gotta finish 3! Been waiting for this beautiful baby. Insta-bought! YES! The wait has been sooooo long! I've spent many a night flipping through my old original copy to try and easy the pain. The book itself was super thick, always amazed me with the various choices even in print format. 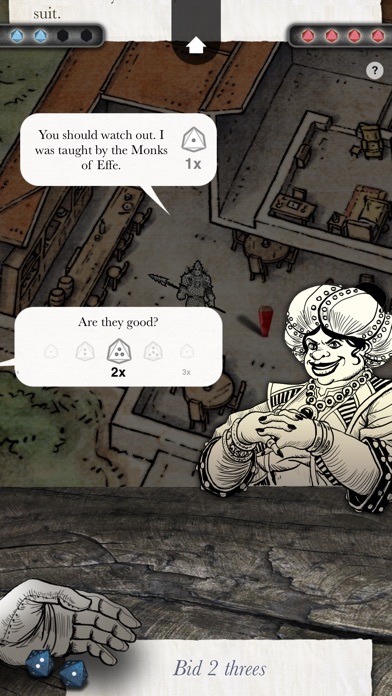 Can't wait to see what Inkle conjured up for the virtual finale! Instant buy! Well... I guess after I finish 1, 2, 3 which I've had in my iPhone and ipad since their initial release! Doh!!! Still have to finish 80 Days as well. I own all of inker games. Stoked to see iOS once again lets us pick up a great game a little before Steam. Really looking forwards to doing a first run through all 4 books! On my first couple of playthroughs as a beta tester, I thought S4 might not have as much replay value as S3. I was wrong. This game is amazingly complex and I'm still not convinced I've discovered everything! I'm looking forward to sharing what I've learned. Hi again! 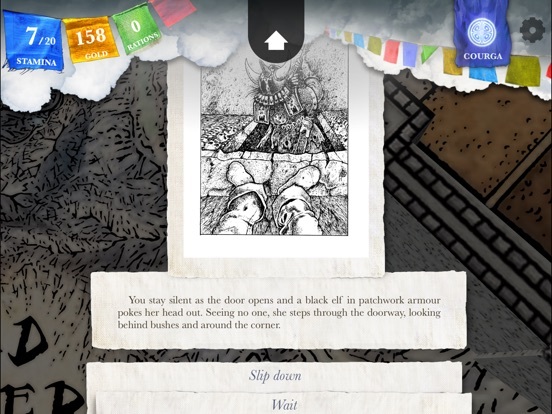 Inkle gave us a hint here http://www.inklestudios.com/2016/09/22/an-epic-adventure-comes-to-an-end.html that there is One More Secret! I'm so very keen to find out where it's hiding. I will be posting it if I make it. Have fun everybody. Lots of replay value. Multiple paths and methods of victory. Major plot points can depend on little things, like what clothes you happen to be wearing. I know I have not discovered it all. And I won't be able to play for several days as I'm moving house this weekend. I've already procrastinated enough! You're welcome! I'm glad to have contributed. Very cool! Every so often I flip through the original books...I never thought a digital reimagine would bring those old feels back. Really? Quick edit to the store page coming right up...!